The temperatures may have started to ease from their near-record highs in Portugal, but fires have continued to rage for a third day in the south of the country. 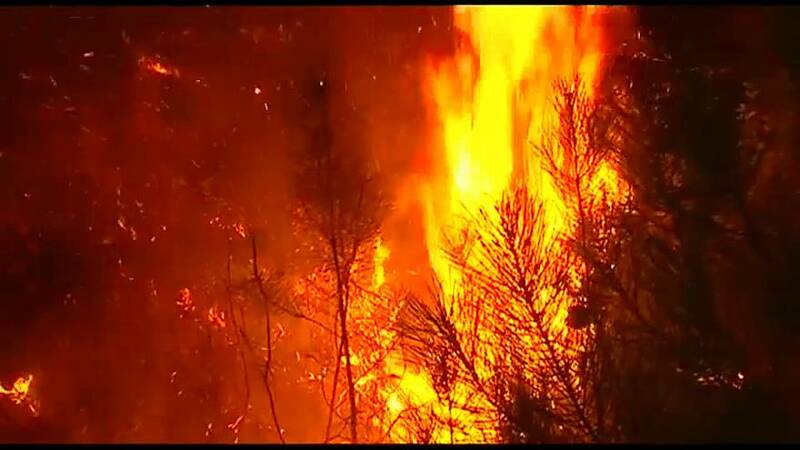 Flames have consumed more than 1,000 hectares of forest in the hilly Monchique area in the southern Algarve region popular with tourists. The fire in Serra de Monchique is being fought by 740 firefighters, supported by seven aerial transporters. Weather conditions are making it very difficult to fight the flames. Wildfires last year killed more than a hundred people in the country's worst such tragedy on record. Authorities were quick this time to evacuate more than 100 people from several villages. Spain has also been hit. Flames engulfed dry trees and shrubs in and around the south-western town of San Vicente de Alcantara, where temperatures are hovering around the 43 degrees Celcius mark. Firemen are still battling to get the blaze under control.